One of the first things I needed to check before ordering my Raspberry Pi was if it was technically feasable to host my own webserver from my Sky Broadband. In the past its been known by ISPs to block certain ports which makes it difficult and usually adds extra cost. One of the ways round the issue of your desired ports are blocked would be to use some sort of service which relays incoming port 80 traffic to another port to your server. Its messy and is probably going to cost for this service and given one of the reasons why I've got a RPi was to have practically free hosting. 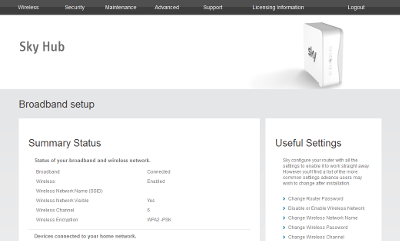 Ports 80 and 8080 are not blocked on Sky ADSL Broadband. SSL on a RaspberryPi - does it slow your site down?